We leave the port on board a bus and we move towards the seaside village of Tomnub Rolork, where we have the opportunity to observe the local fishermen at work, engaged in their daily activities such as shrimp drying. We continue the journey by bus to the Buddhist temple Wat Leu, which stands on top of a wooded hill where you can enjoy spectacular views of the city. 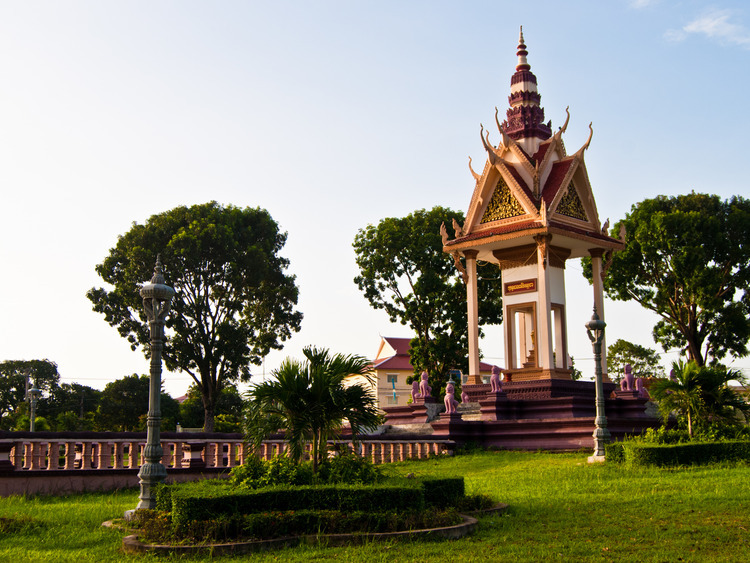 During the visit, we admire the artistic and architectural beauties of the site, we walk in the gardens scattered with sculptures that refer to the Cambodian religions and pay homage to the statue of King Jayavoraman VII. Our next destination is the local Phsar Lurh market, where we can browse and shop for fresh food, clothing and electronics vendors. After the local market, we reach the temple of Wat Kraom also called Wat Utynieng, which is one of Sihanoukville's most popular attractions. Located 3 km from the city, it has interesting architectural elements and is dedicated to Ya-Mao, a local deity. Inside we find several Buddha statues in various positions in the typical Khmer style. Each of these statues tells the story of the Buddha, adored and respected by the locals. The excursion includes long stretches on foot, even on uneven surfaces, so it is not recommended for guests with mobility difficulties. It is recommended to wear comfortable walking shoes. You must remove footwear and wear socks to enter the Temple. Legs and shoulders must be covered.